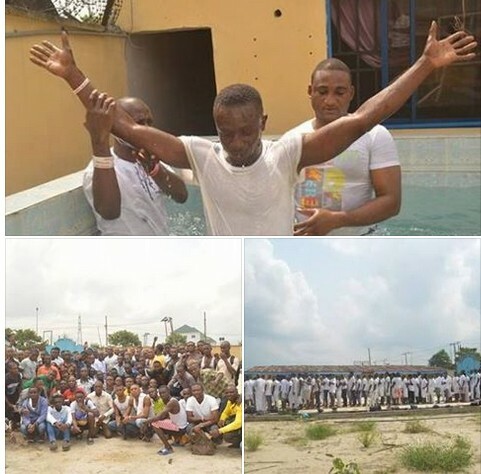 The General Overseer of OPM, Apostle Chibuzor Gift Chinyere, over the weekend expressed joy, as over 200 repentant cultists, militants, and prostitutes who embraced Christ through the OPM empowerment and intervention programs received water baptism after undergoing baptismal classes. Speaking to the press, shortly after the new converts fully complied with the biblical injunctions, the Apostle said, though the financial involvement in the up keep and maintenance of the newly converts are quite enormous, he can not in anyway compare the cost to the salvation of the lost souls to God in heaven. This is what God is expecting from us, he emphasized.